Got comments on an article you read here? Bring your questions and yourself to TinkerTry.com's first Google+ Hangout! Planning to do some screen sharing as well. 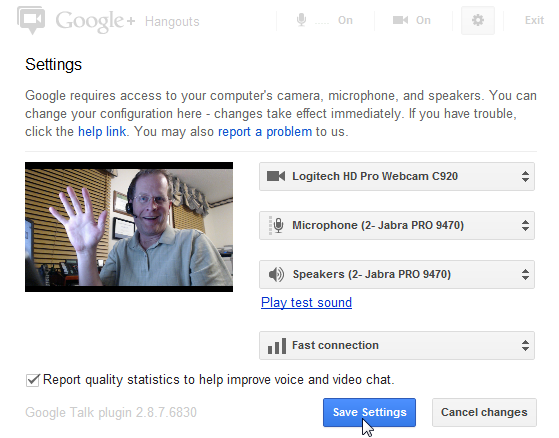 I may also use XSplit Broadcaster to stream the Google+ Hangout to justin.tv/tinkertry, for those who prefer to "live lurk" instead. Not sure yet if I'll also keep the recording, let's see how it goes! Please start by following me at plus.google.com/108099269416006256371/posts. I'll likely then invite you into the hangout, depending upon how many folks show up. Of course, I have no control over who shows up, but isn't that the fun part? 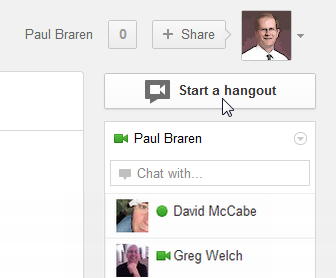 1) At the upper right corner, just click the "Start a hangout"